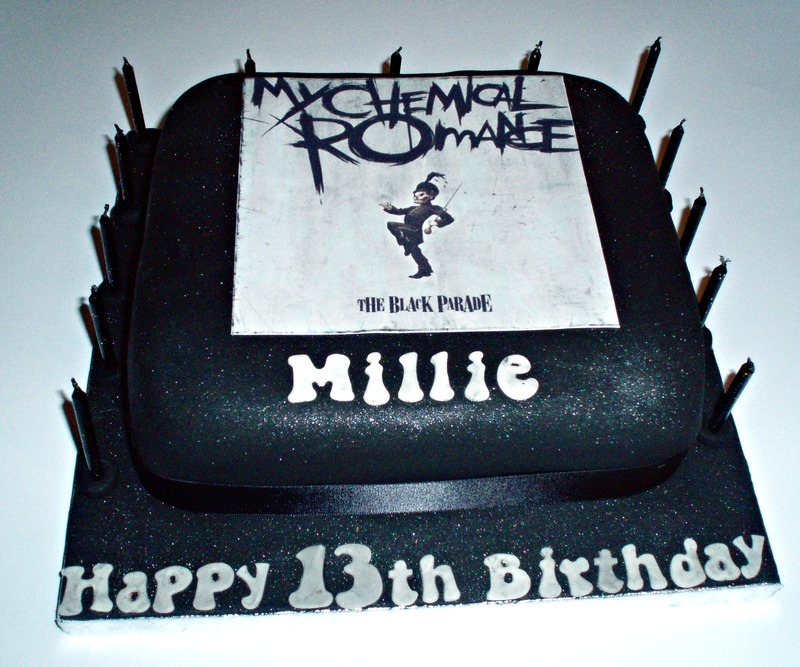 I made this cake for Millie’s 13th birthday recently. 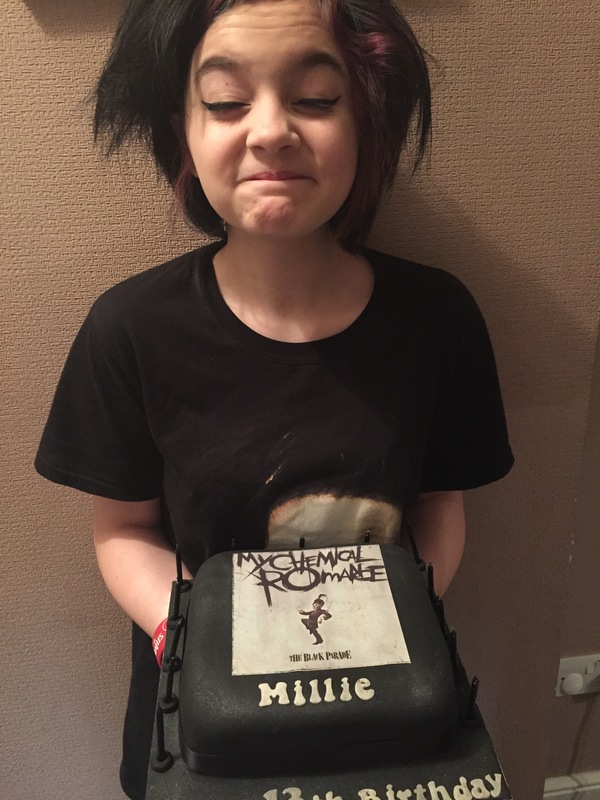 Her dad called and asked me to make a cake and it had to include her favourite band, My Chemical Romance. “Sure I can do the cake…”I said. 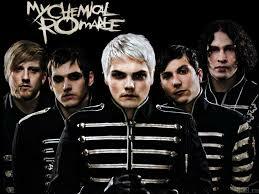 But showing my age, I had to Google and YouTube the band. After immersing my self into the culture of Generation Z culture, for all of about five minutes, I did a quick sketch of what the cake might look like. Here’s the finished cake: Vanilla sponge with vanilla buttercream and raspberry jam, covered with jet black fondant covered with edible black lustre. The cake included an edible print of the cover of The Black Parade (see I’m in the know, now…) and was wrapped with black satin ribbon and decorated with 13 black candles. And here’s the birthday girl, Millie. This entry was posted in Birthday, Birthday Cake, Buttercream, Cake, Cool, Dad, Daddy Cool and tagged birthday, Black Cake, black lustre, cake, Generation Z, Google, My Chemical Romance, The Black Parade, YouTube. Bookmark the permalink.